Any good pasta works just fine. It can be dried pasta like spaghetti or rigatoni. The very best is fresh egg pasta, but never mind, it’s always fine. Cook it “al dente” and drain the water, but not too much; keep it a little wet. Then add pecorino cheese and black pepper. This is the very recipe for “Cacio e Pepe”. How about the amount of pasta, cheese and pepper? Tons of them three, of course. 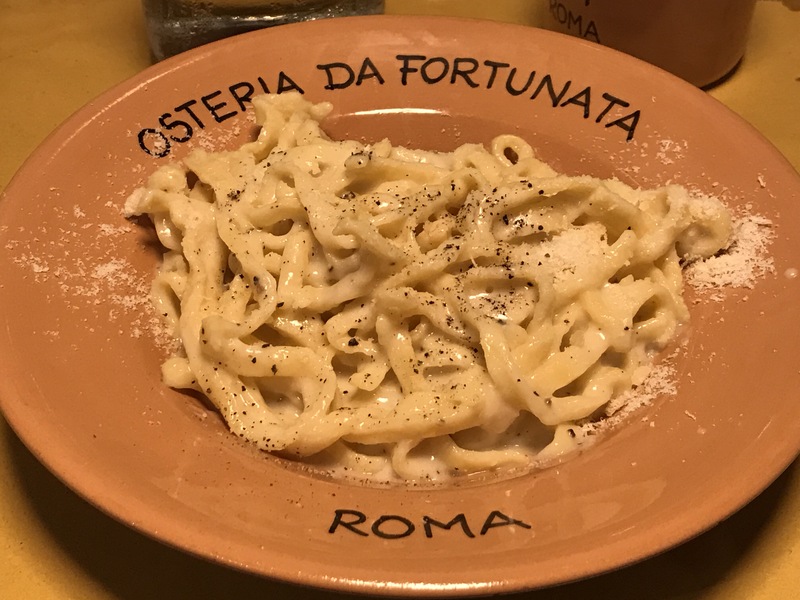 One of the best Cacio e Pepe in Rome? Osteria da Fortunata at Campo de’ Fiori.